Sunday night we dry-camped at Cabela’s in Rapid City amidst a rain storm. A 35 mph wind blew in a cold front making it a relief to pick up our mail and drive west into The Black Hills. Dark Green Hills is more descriptive, but there are some very large, very dark boulders dotting the landscape, and it is undeniably beautiful country. 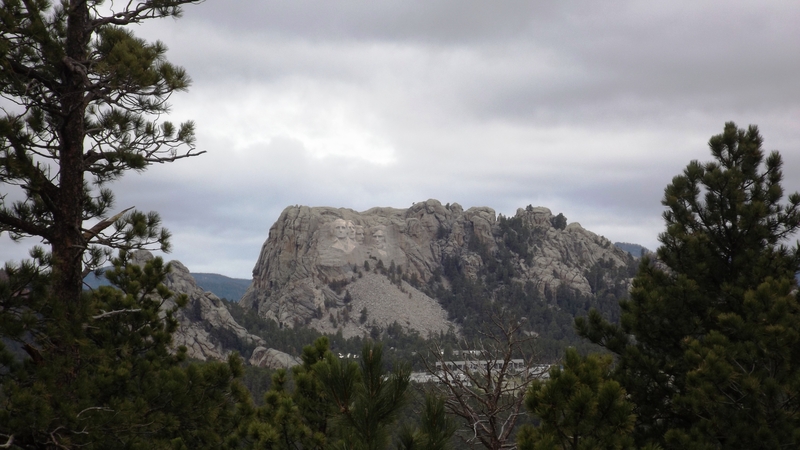 Our plan was to rest Monday afternoon and see Mount Rushmore and Wind Cave National Park Tuesday. 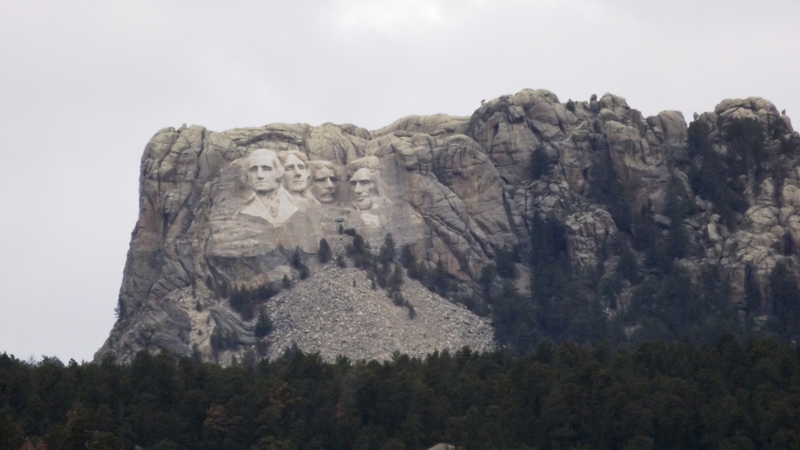 The Iron Mountain Road to Rushmore from Keystone, SD was designed to be at least as scenic as functional, and thanks to the support of South Dakota Senator Peter Norbeck, it was completed with little regard to cost. The road was generally considered impossible to build, but Norbeck found a chief engineer who promised to get it done if he had an unlimited budget for dynamite. 150,000 pounds of TNT later, the roadway was ready and the four tunnels opened. Calvin Coolidge was another strong supporter. He came for a three week visit in the summer of 1927 and stayed three months. While here he became an accomplished fly fisherman who caught his bag limit nearly every day. Cal never discovered that the supporters of the highway and Rushmore had invariably stocked the streams he fished the night before his visits. The tunnels accomplish two purposes. Each saves thousands of feet of winding roads with switchbacks and hairpin turns, and each serves as a visual frame from one direction for the four figures on Rushmore. We didn’t get any tunnel-framed pictures (they’re one-lane only usually with a turn coming into them) but when you go, watch for Washington, Teddy, Lincoln, and that other guy* as you exit a tunnel. If you don’t see them, check your mirrors: there they are! 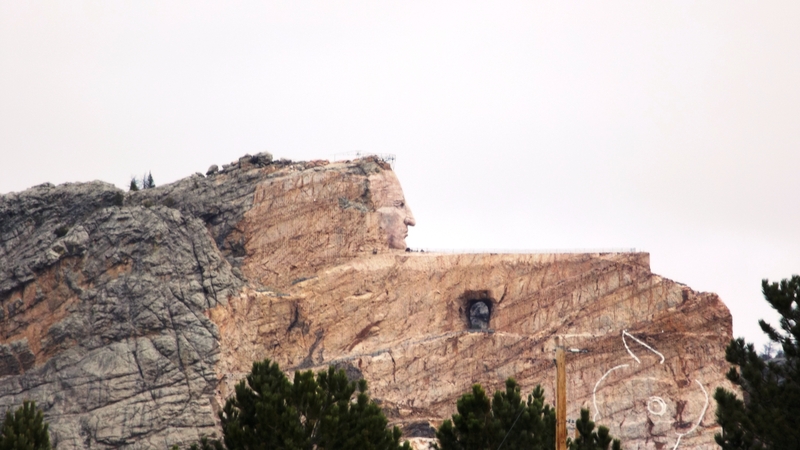 This is Crazy Horse, estimated to be complete circa 2200. Wind Cave is so named because the only known natural opening to that 140 mile cave system forcefully exhales or inhales air to equalize atmospheric pressure underground with that above. At both extremes the sound can be heard hundreds of yards away. The barometer was still today as was the cave’s blowhole. 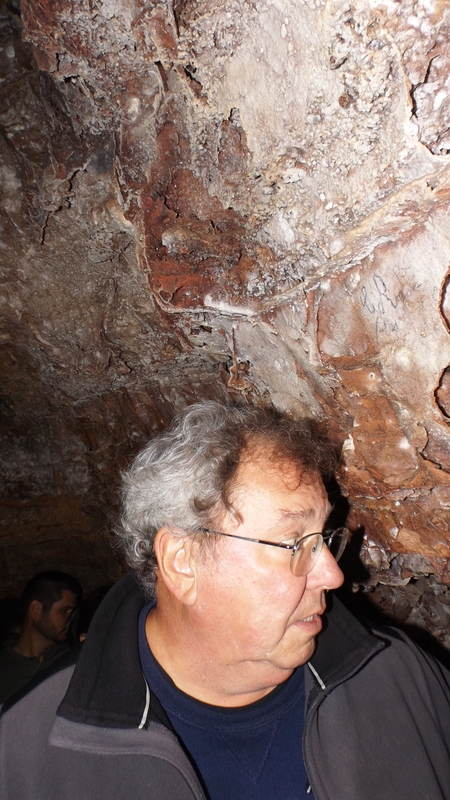 The caves are mostly dry, so there are few stalactites or stalagmites. The entry point’s unpredictable but powerful wind discourages bats; there’s none of them either. The corollary blessing to that is the total absence of all that fragrant guano. 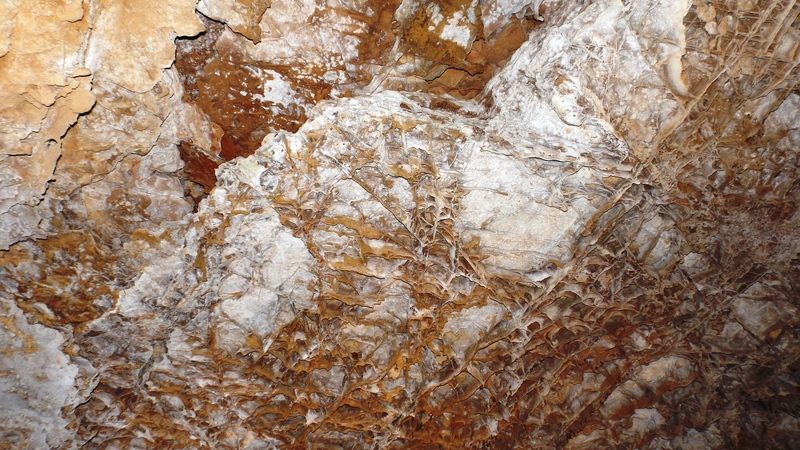 This picture shows “boxwork”, a type of cave rock almost unique to WC. * That other guy? Thomas Jefferson.